We’ve finally figured out what happens to kids who grow up playing video games – they turn into adults who play more expensive video games! It seems that playing Super Mario Brothers might have actually paid off for some, especially for those scientists at the Jet Propulsion Laboratory in California. This is the group that is responsible for the Mars Curiosity Rover. The Curiosity is a large, remote controlled, rolling laboratory that landed on Mars about a month ago. Since then, it has been testing out its scientific payload and driving across the Martian landscape to a 3.5-mile high mountain called Mount Sharp. Along the way, it is zapping rocks with lasers, sending back weather reports, and snapping lots of high-resolution photographs with its various cameras. One thing that has amazed me are the photographs of the Martian landscape – the barren, lifeless, monotone Martian landscape. 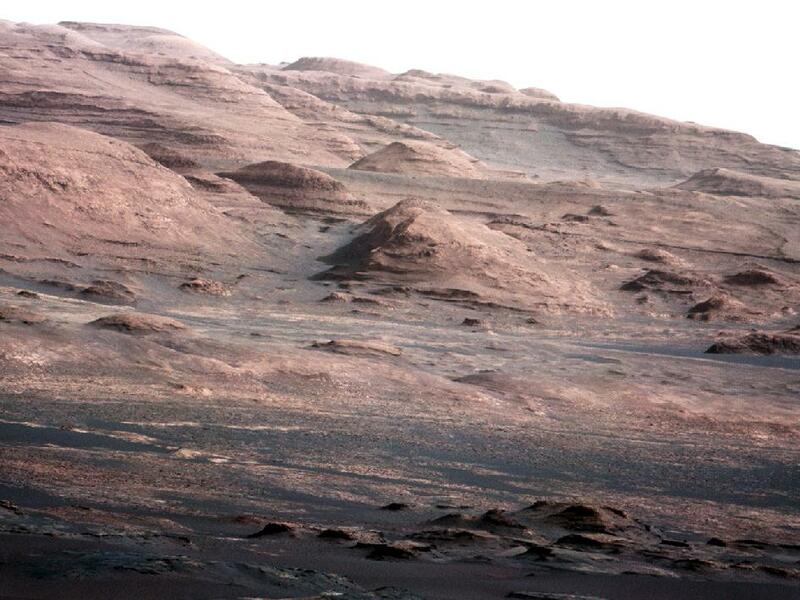 While it is exciting to be exploring a different planet, Mars certainly is a boring place in comparison with our home. Thank you NASA, but I don’t think I’ll be volunteering to help populate a Martian colony any time soon. God could have made everything look like Mars. He could have created a barren landscape with no flora, no fauna, no water. He could have created our bodies to metabolize differently than they do. He could have created us to eat dirt and get what we need to survive that way. Instead, He created us in the context of a spectacular array of color and splendor. He created us to enjoy a variety of foods. He enabled us to thrive in a variety of landscapes and environments. He created us in such a way that only “the fool says in his heart there is no God.” In other words, God is not hiding from us. If God had created everything to look like Mars, then one could more reasonably argue against the creative hand of a Great Designer. But we recognize that Mars is just one planet among many. We also recognize that Earth is the precious jewel in the crown of our Solar System. Earth is the only place designed to fully support the one piece of Creation, crafted in the image and likeness of God. Curiosity has helped us learn something about Mars, but more importantly, it has helped us learn something about our God, and our special place in His grand design. God is not hiding, and all of Creation points to His skillful hand.